A massive contest between two of boxing’s best undefeated stars has been confirmed for next year. 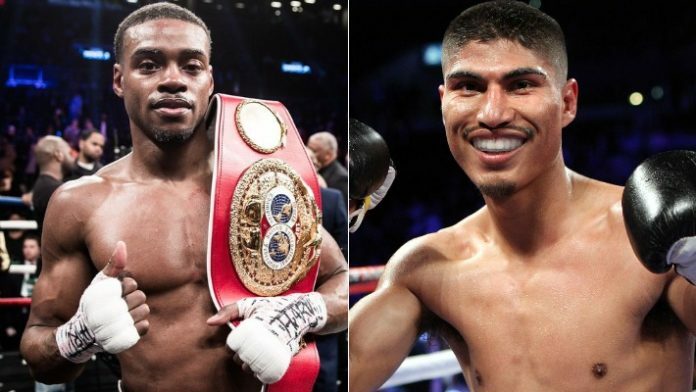 It was announced at yesterday’s (Tues. November 13, 2018) Premier Boxing Champions (PBC) on FOX Sports press conference that IBF welterweight champion Errol Spence Jr. has a title defense. He will defend his strap against fellow undefeated WBC lightweight champion Mikey Garcia. Garcia will move up two divisions, from 135 pounds to 147 pounds, for the contest. This will be Garcia’s first time competing at the 147-pound weight class, who once competed as low as 126 pounds. The fight will be on the first pay-per-view (PPV) of the new four-year FOX Sports deal with PBC. The fight will go down from the AT&T Stadium in Arlington, Texas on March 16, 2019. Spence extended his undefeated record to 24-0 this past June. He retained the IBF welterweight title with a first-round knockout of Carlos Ocampo in Texas. As for Garcia, his last outing extended his undefeated record to a whopping 39-0. He won the IBF lightweight title from Robert Easter Jr. this past July in Los Angeles. Garcia bested Easter over the course of 12 rounds, winning a unanimous decision. He’ll now face the toughest test of his career against Spence. What do you think about the Spence Jr. vs. Garcia match-up?